One way to know is to complete the online questionnaire ‘Is Your Child Highly Sensitive?‘, which also provides a good sense of what is meant by a “highly sensitive child.” The items come from a longer list given to over a hundred parents and then statistically selected to best identify HSCs. 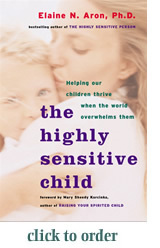 It is one way to know if a child is highly sensitive, but not always accurate for a given child. Another way to know is to read more about the trait and decide for yourself. First, appreciate that this is a wonderful trait. It is no illness or syndrome. Nor is it something new I made up or “just discovered.” It is an inborn temperament or style that is found in about twenty percent of children and of nearly all animals. Anything so persistent is not abnormal. It represents a strategy of taking everything into account before acting (the other, more common innate strategy is to act quickly and be first, then think later). 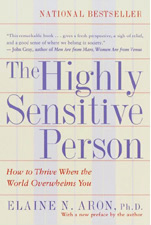 The trait serves an important purpose for the individual sensitive person and for the larger society–for example, sensitive persons sense danger and see the consequences of an action before others do. So, the second “what now” might be to read The Highly Sensitive Child. I wrote this book because so many adults were telling me that their childhoods were excruciatingly difficult, even when their parents had the best intentions, because no one knew how to raise them. Parents and teachers told them there were “too sensitive” or “too shy” or “too intense.” They tried to change and could not, and so felt increasingly isolated or ashamed. My hope is to spare some children such unnecessary suffering and the world the waste of so much talent, because HSCs have a tremendous amount to offer the world. But they do need special handling. They need to be appreciated, to have their special needs and sometimes intense reactions and behaviors understood, and, when correction is needed, they need to be handled with special care so that they do not become anxious or ashamed of their failure. This book is rooted in years of my experience as a psychotherapist and consultant to HSPs and parents of HSCs, plus interviews with parents, teachers, and HSCs themselves for the book. Then there are my experiences from my fumbling efforts to raise an HSC before I knew what that was. And there’s what I know from having been an HSC myself. Again, few parents and teachers understand this trait-–and as a result, HSCs are often mislabeled as “problem children” (and in some cases, misdiagnosed with disorders such as Attention Deficit Disorder). But raised with proper understanding and care, HSCs are no more prone to problems than nonsensitive children and can grow up to be happy, healthy, unusually well-adjusted and creative adults. Explains the trait thoroughly, including research evidence. Describes the most likely problems and gets you started solving them. Even though this is an innate trait, it often happens that a parent is not highly sensitive but the child is. This chapter shows you how to make that an advantage for both of you. And What About the Rest of Your Family’s Temperament? Discusses the advantages and disadvantages of having the same temperament as your child and also considers the temperament of other family members. Focusing on the most important issues, whatever the age of a child. 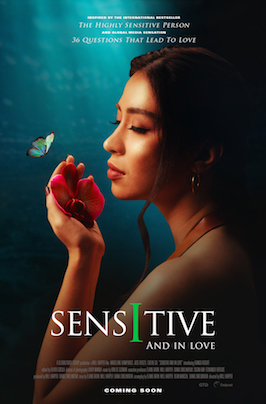 The rest of the book is on each stage of raising your sensitive child, with many practical tips as well as research findings on what really works with these particular children. NOTE: See Resources for Parents of HSPs for information on an independent online support group for parents of HSCs.